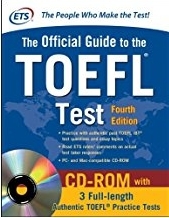 I want to put together the best links fo theTOEFL iBT, for free. These links come from my bookmarks, several months of study, different books purchased. In the end, these are the best at the moment. I suggest you to practice the TOEFL as much as you can, dedicating a specific strategy to each section. In my opinion TOEFL should be handle in a different manner from GMAT because the TOEFL tests different skills. Only the reading part overlapps in somehow (for sure: if you are good at GMAT/RC then your proficiency in TOEFL/RC will be at least in the range of 27). Nevertheless, I suggest to put a major stress (this is not imply that you will do only these parts, neglecting the other two, but what I'm saying is to do a major emphasis on the first two, listed here - Speaking and Writing Section; of course during the test they wiil be the last two sections) on Speaking and Writing for two simple reasons: are the tougher of the entire exam and because they come later during the exam; in that way, you will be prepared already for these two sections when you - maybe, but I'm pretty sure - are already tired and without concentration, gaining in score. The kindle version of this guide came out without a useful link to download the content of CD-Rom of the paperback version. Amazon fixed it after I bought the kindle version. Now the download link can be find at the bottom (last page) of the kindle. This is a video introduction about what you need, in terms of skills and structure, for the TOEFL iBT test.